since the --devel installs the developmental packages. Please confirm. Btw, what does the second y in yaourt -Syyu do? Thank you very much! I had one more question, and that is: does pacman -Syu (which I use to update packages) also update packages obtained using yaourt? If not, which command should I use such that all packages (installed from AUR, Antergos or Arch) are updated? …I noticed that you did not use sudo there. Does that mean that ths package is installed somewhere else, or should we use sudo?.. Very good observation. Glad you’ve noticed it. Don’t worry. yaourt and other Arch package managers will install all packages in the standard location only. Any package may be removed by the standard pacman later. yaourt is never launched with root privileges. It is always executed from a standard user account. sudo is not needed for yaourt. If [commands] require elevated privileges, yaourt will ask for the root’s password. The command will remove the package and all its dependencies. Thank you very much! Btw, how does one find out which package contains a specific file or binary? Say /usr/include/Rmath.h ? @aarem pacman works with standard Arch repos only. AUR is not a part of them. pacman is not as permissive as yum/dnf in fedora, or apt in debian. pacman will never install any package from AUR. Thanks! I noticed that you did not use sudo there. Does that mean that ths package is installed somewhere else, or should we use sudo? 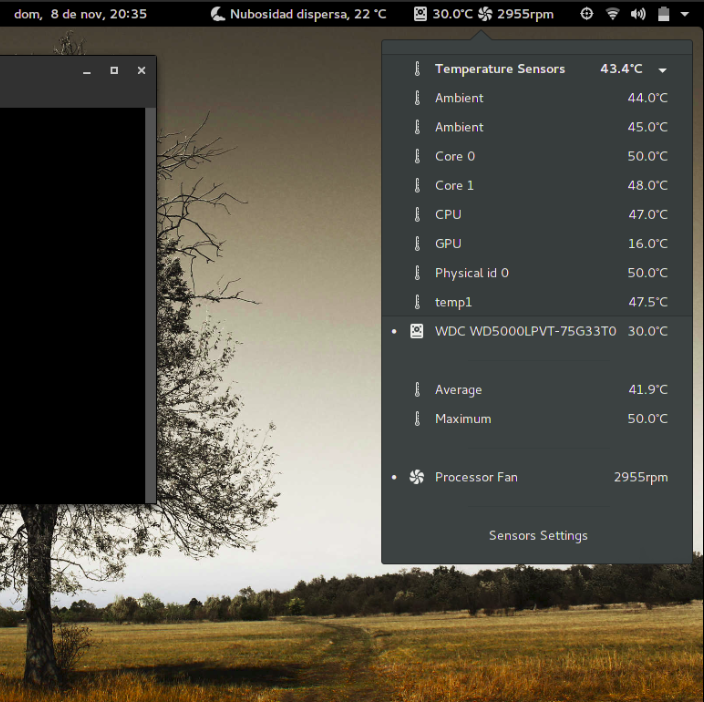 Conky is fine, but with FREON I feel better! Now, stapler exists in the AUR repo but it says that it can not be found. Sorry, I am new to Arch, but very well-versed with dnf/yum on Fedora/Redhat/CentOS and apt in Debian so I was expecting to be able to just install from those repos. Are similar options possible in Arch? Hi, I am using the Openbox WM with Antergos. I would like to know how to bring up the exit frunction (which brings up the options of Shutdown/Reboot/Hibernate/Suspend/Logout, etc) from the commandline. Is there any additional package that needs to be installed? [   555.408] (II) UnloadModule: "intel"
[   555.409] (II) LoadModule: "modesetting"
A couple of questions, did you at some point install other graphics drivers, such as from Nvidia for example? If you did, you will have to remove those first. I am hoping that this will work for you. I did find a good link for reading that may have some application to you. Actually, I’m putting it in my own bookmarks. link text Read and consider this first before trying. In the end, pacman -Syu xf86-video-intel appears to have done the trick. Thanks again for the pointers. This is my first experience with Arch/AntergOS and I like it quite a bit!